$15.00 In stock. Order in the next 17 hours, 55 minutes and it will go out today! Imagine taking a bite out of an Oreo Cookie, then blowing on the cookie to make it instantly whole again. Take a look at the video that a 12-year-old girl took of me performing Cookie Bite Plus for some kids as they were waiting for my school show to begin. You’ll see for yourself how kids react when the modern classic, Coin Bite, is performed with an Oreo Cookie! You open a packet of Oreo cookies and show a fun way to eat one by “unscrewing” the two halves so you can eat the cream first. Next, you take a bite out of one of the wafers. Then magically, you blow on the half-eaten wafer and it’s instantly back together again. It’s a visual restoration right before their eyes! Then, if you want, you reattach the restored wafer to the other half as you take your applause. This is an easy-to-perform trick, that’s easy to learn because the gimmick does almost all the work for you. 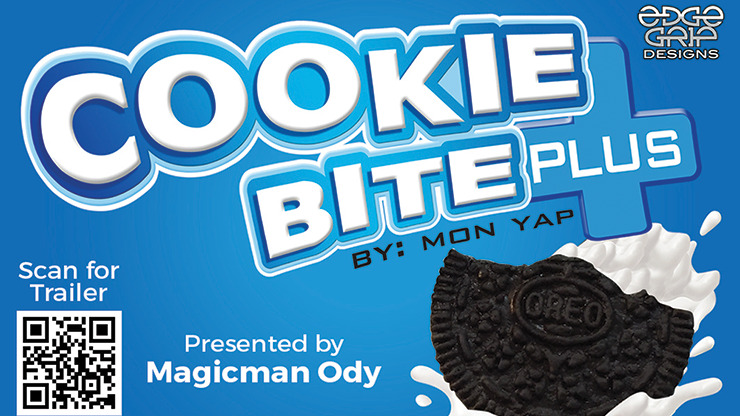 Get Cookie Bite Plus and add a touch of magic next time you’re having milk and cookies!